Everyday is the perfect occasion to celebrate a little something. Did you know that June 1st is the national day of tomatoes? So many things are possible with tomatoes from food to beauty treatments, tomato is the golden apple. In Italian tomato translates in pomodoro which means exactly golden apple and it holds the secret for a good health. My day often start with artisan bread, a couple of tomatoes with basil leaves and extra-virgin olive oil seasoned with salt & pepper. To this, I add a couple of fruit, a couple of cups of espresso coffee and off I go to work. Tomato is food of good nutritional balance, poor of calories, with a good content of minerals and vitamins, rich in water, about 94%, therefore it is refreshing, good for high heat areas. The only carbohydrates present in a tomato are fructose and glucose. Consuming tomatoes on a regular basis facilitates the digestion of starches found in food such as pasta, rice, potatoes and helps to remove excess of proteins deriving from a diet rich of meat products. People who suffer a slow digestion should eat a good quantity of tomatoes daily, in that the arabic acid and lactic acid activates the gastric system, along with sulfur, which acts as a detoxifying. The golden apple contains potassium to help with cramps of the legs, fatigue, retention of liquids and hypertension. It also contains calcium to help with migraines and keep bones healthy. It contains phosphorus to help metabolize carbohydrates, fats, and proteins, iron to help with anemia, selenium and zinc, which are the essential elements to fight aging, but a substance called solanine could be the enemy in the tomatoes. Solanine is a toxic alkaloid present in green tomatoes and in tomatoes not totally ripe, thus not really good to eat. Give the soil lot of nutrients, a good compost, especially if you produce your own from kitchen scraps, place the tomato seeds in an all-day full sun areas and you will have an elixir of love and health in large quantity. 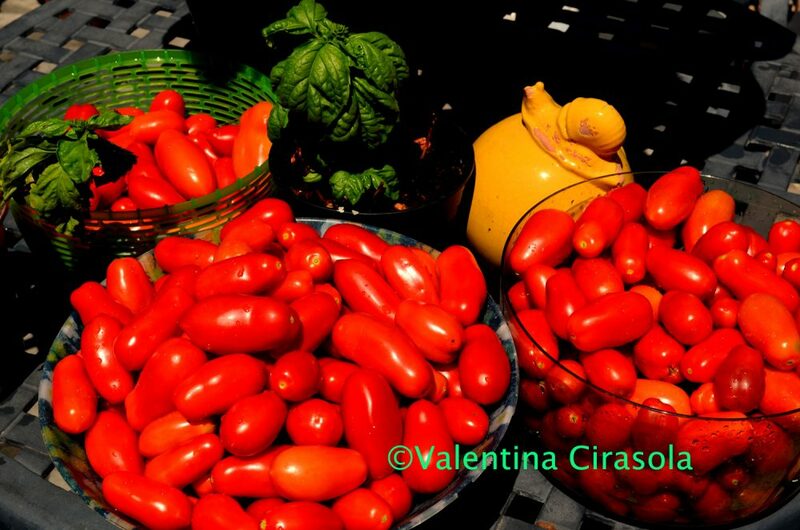 I often use tomatoes called San Marzano to make the passata, but any large round tomatoes will do. Use ripe tomatoes, about 12-15 to make a sauce for four people, cut in half, squeeze the water out and some seeds. Place all the tomatoes in saucepan for about 10-15 minutes at medium low heat until the tomatoes are soft and collapsed. Transfer them a spoon at a time in a food mill to eliminate the skin. Place the food mill on top of a bowl to collect the juice and turn the handle until you see a thick juice going into the bowl. At this point the sauce is almost ready. 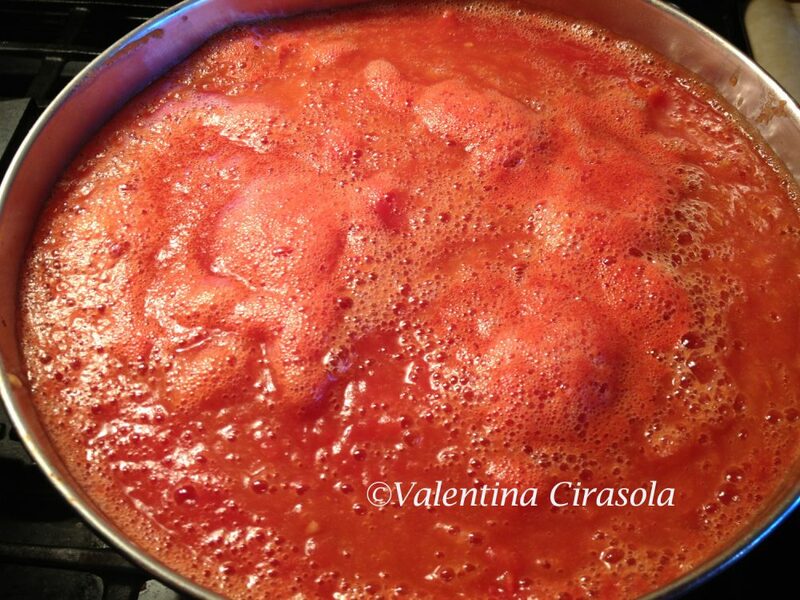 Place the tomato juice back into the saucepan, add salt to your liking, olive oil and a few leaves of basil. Simmer for about 15 minutes at low heat. This basic sauce can be used fresh as it is on any pasta or rice, but it can be enhanced with tuna, chicken, lamb, or any vegetables. Cook them separately, then add them to the sauce. The same sauce can be pasteurized and kept in jars for the winter, so you can enjoy a home made tomato sauce when there are no tomatoes around. 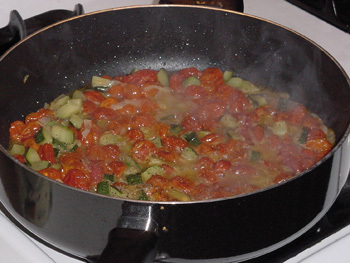 In this picture down below, I am preparing Pachino tomatoes with Italian zucchini and onions, when the sauce is ready in about 15 minutes, I will add some spaghetti, grated Pecorino cheese and nothing else to this dish. It will be perfect with a glass of red wine. Buon appetito! Find more of this simple recipe in my two books, available in this site on the Books page and on Amazon. “Valentina – an International Professional Interior Designer is now giving you an opportunity to redesign your palate”. Valentina Cirasola is an Italian Interior Designer with a passion for kitchens and cooking. 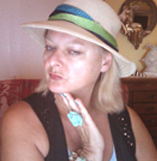 She operates in the USA and Europe. She loves to remodel homes and loves to turn ugly spaces into castles, but especially loves to design kitchens and wine grottos, outdoor kitchens and outdoor rooms, great rooms and entertainment rooms. I know now why I love tomatoes! The basic sauce sounds like the perfect base to have ready to go on short notice dinners.